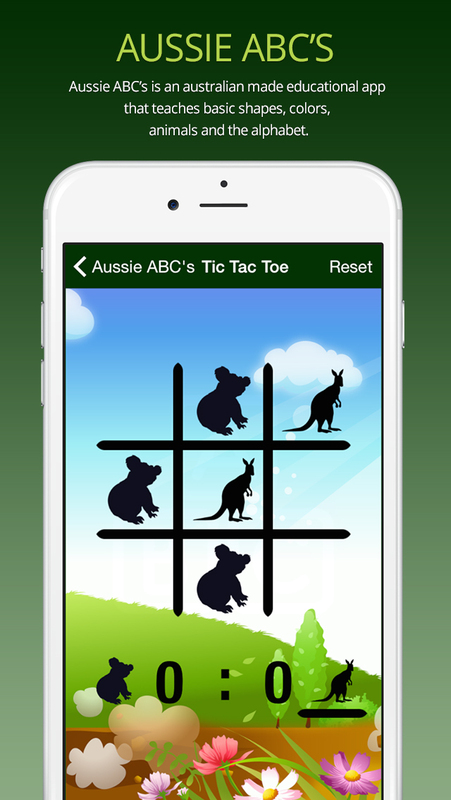 Aussie ABC's is an Australian made educational app that teaches basic shapes, colours, animals and the alphabet. This app uses new technology and traditional learning to engage and help children learn and interact with the characters within the app at the same time. An interactive game/quiz that features the full alphabet. An interactive game/quiz that features common colours. Join Angus to learn basic shapes. An interactive game/quiz that features common animals. Create your own art ! Includes clearing and exporting options. You can adjust the brush style, size, and colour. Children's classic game Tic tac Toe game using animals markers. 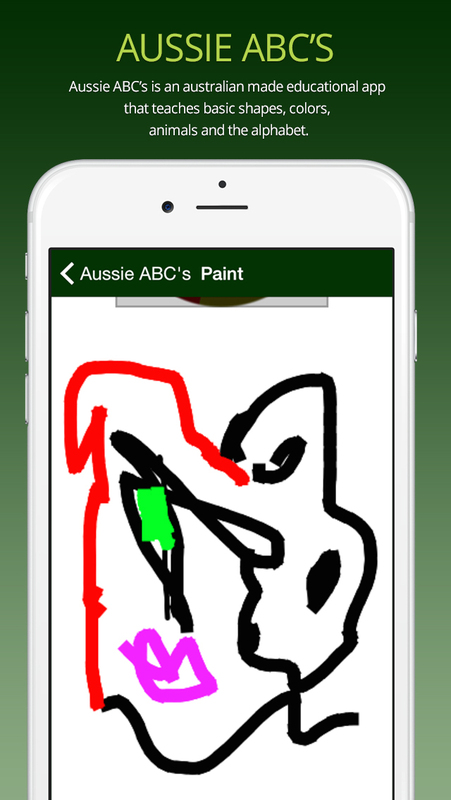 Aussie ABC's is a simple (basic/beginning) app. If you are looking for a more in-depth app that offers more than listed above this is not the app for your little one.